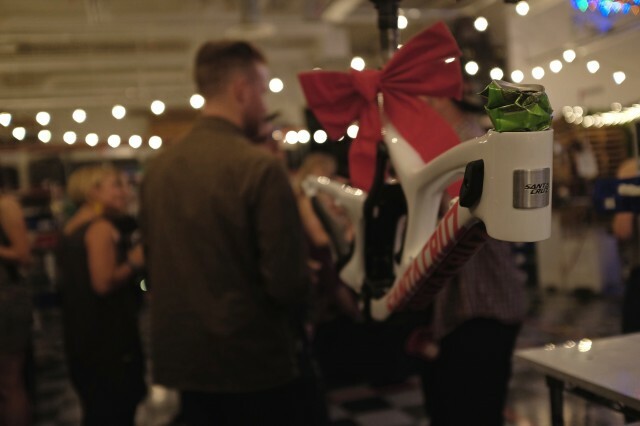 Santa Cruz Bicycles' annual holiday party took over its headquarters last night, ushering in the season of winter revelry with an unveiling of the new V10 downhill bike, appearances from the Syndicate team, karaoke, a photo booth and a mechanical shark. Yes, a shark. 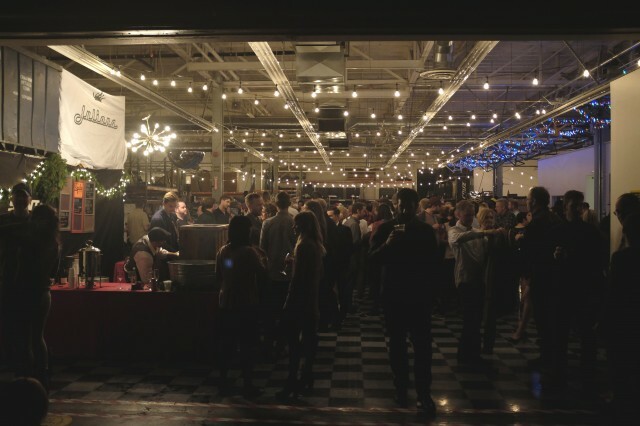 The company’s headquarters in Santa Cruz hosted the annual party. 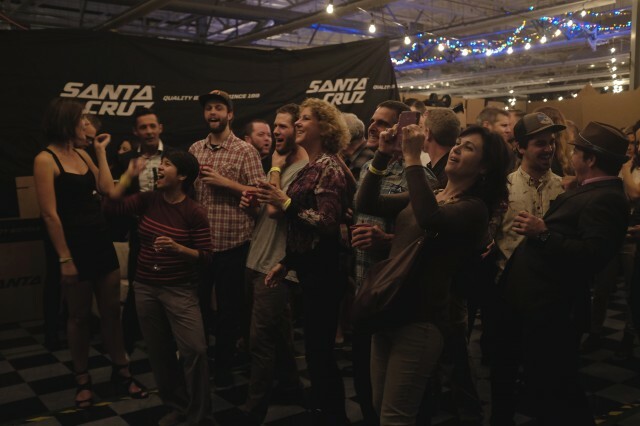 Santa Cruz founder Rob Roskopp welcomes he crowd. 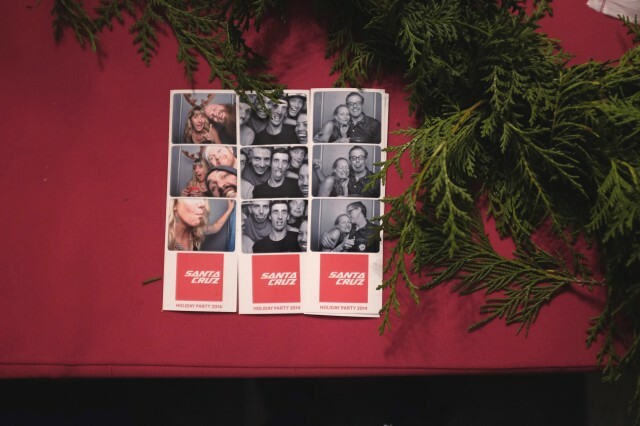 The new V10 was one of the party’s main attractions. 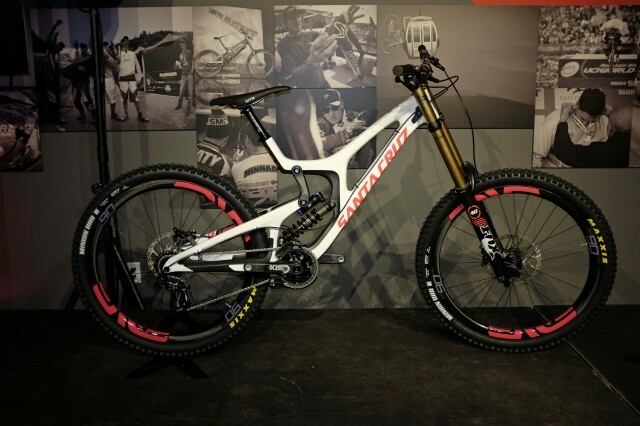 Santa Cruz’s venerable downhill bike showed off its full carbon-fiber, 650B makeover. The history of the World Cup winning V10. 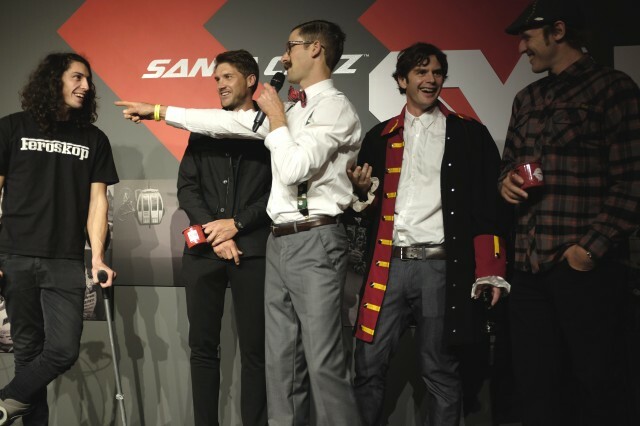 Racer Scott Chapin steals the mic from Santa Cruz’s Will Ockleton and turns the attention to crowd-favorite Syndicate rider Josh “Ratboy” Bryceland. 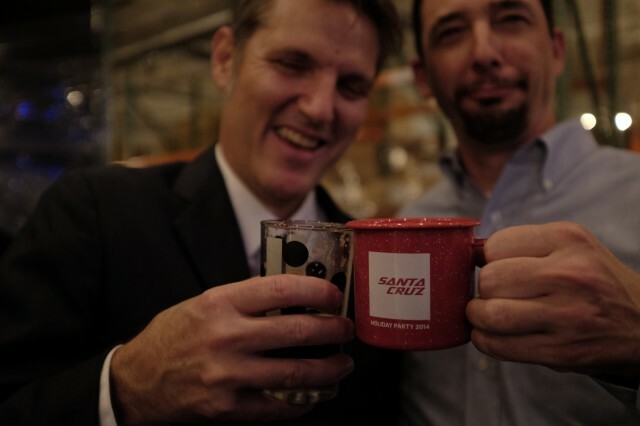 Santa Cruz’s Scott Turner and MTBR’s Don Palermini share a drink and a laugh. 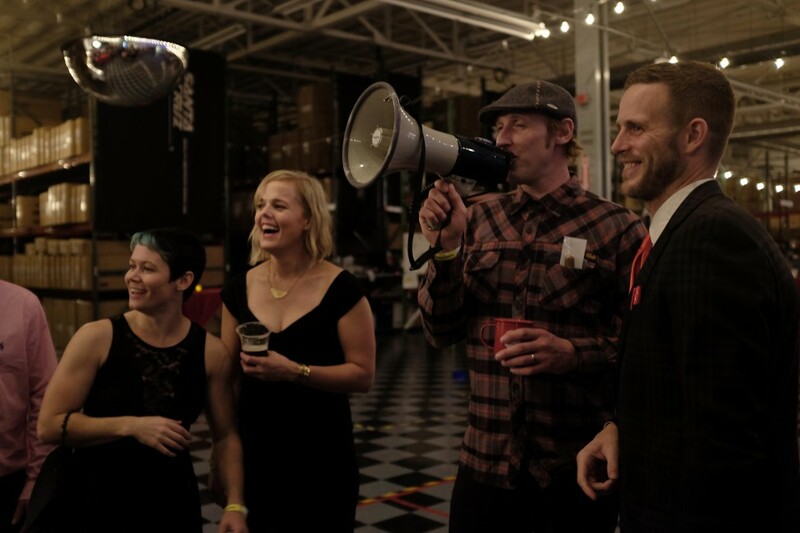 Watching karaoke never gets old. 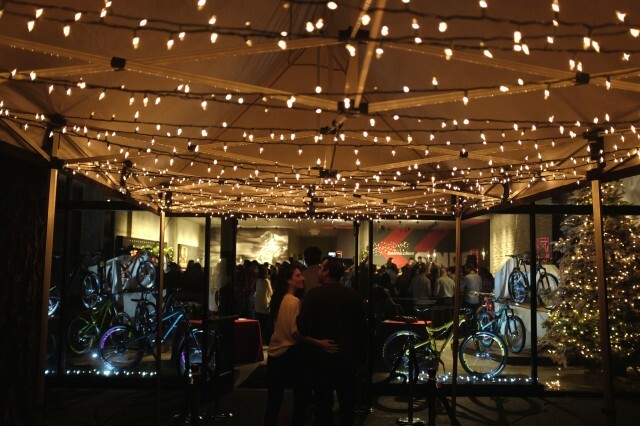 Santa Cruz’s sister brand, Juliana Bicycles, knows how to party too. 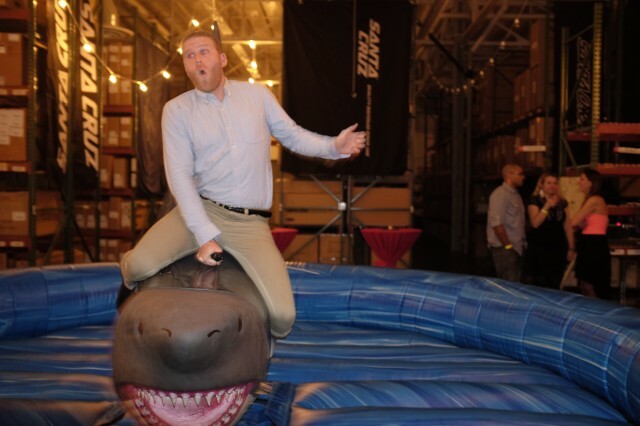 Santa Cruz’s Colin Lambing shows the mechanical shark who’s boss. Or is it the other way around? The carbon fiber V10 shows it’s stronger than aluminum. 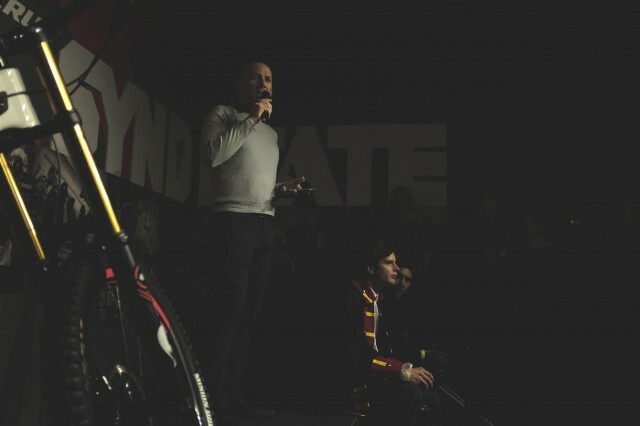 Steve Peat handles last call duties.